Johnathon Sung, owner and chief executive of Greenhill Insurance in Dallas, Texas, is announcing the launch of a charity drive that aims to provide support and empowerment to individuals and young people in the region who have physical or psychological disabilities. Monies raised during the event will be provided to the Texas Milal Mission. 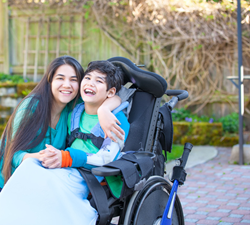 “We realize there are many challenges for individuals with disabilities, and supportive services can provide those in need with a clearer understanding of God’s purpose so they can live their lives with dignity and confidence,” said Sung. To encourage the involvement of the Dallas community, Sung and the Greenhill Insurance team will be issuing donations based on referrals. For each person referred into the firm for a no obligation insurance appraisal, the firm will make a $20 donation to the Milal Mission. Additional information on how to help support the charity drive can be found here: http://greenhillinsurance.com/rewards/. As a Personal Insurance Representative in Dallas, agency owner Johnathon Sung knows many local families. His knowledge and understanding of the people in his community ensures that clients of Greenhill Insurance are provided with an outstanding level of service. Johnathon and his team look forward to helping families protect the things that are most important – family, home, car and more. Greenhill Insurance also offers clients a preparation strategy for achieving their financial goals. To contact an expert at Greenhill Insurance, visit http://greenhillinsurance.com/ or call (800) 568-8700.